Coal mining is a dangerous job. Every time you go into the mine, you put yourself at risk. You're underground, it's dark, and there isn't a lot of space to move around. It's easy to trip, fall, or crash into things. Noise from loud machinery can affect your hearing. Operating heavy equipment wears on your body. Sometimes, no matter how many safety measures are taken, accidents happen. What happens if you're hurt in a mine and you can't return to work? How do you continue to provide for yourself and your family? Our coal mining accident attorneys will work with you to sort through these issues and figure out your options. We know that you've put in your time and want to move on with your life, and we're here to help you do that. 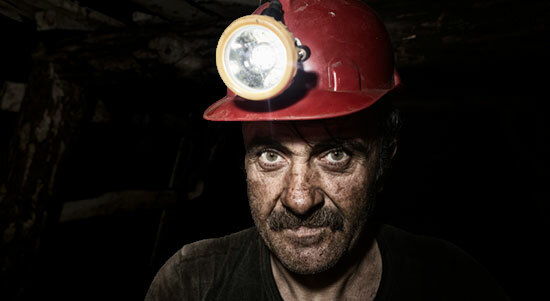 What Are Common Injuries Coal Miners Sustain? Unlike many other professions, there's no "light duty" work option in mines, so injuries often end your career. This puts coal miners and their families in a tough position – missing important pay and unsure of what to do next.